When Apple launched AirPrint, it’s wireless printing technology back in 2010, there were only a few printers it was compatible with. But times are a-changin’ and now there are many options available if AirPrint is your preferred method for printing. Before buying an AirPrint printer, it’s important to weigh the options up and consider what you require from the device. Are you looking for a printer that is well-suited for a small office environment, or will it be used strictly for home? Are you looking to primarily print documents or photos? What other features would be beneficial? These are all important questions that can be good to ask yourself before committing to a decision. We’ve outlined some options for AirPrint compatible printers below along with some pros and cons for each and their specifications in the hopes of assisting you learn more about some of the options out there. This printer offers an affordable option for those looking for a printer and scanner with AirPrint compatibility. It’s capable of automatic double-sided printing and scanning, and can print up to 22 pages per minute (ppm) in black, or 18 pages per minute in colour. It supports both wireless and Ethernet connections, and comes with a 12-month warranty. 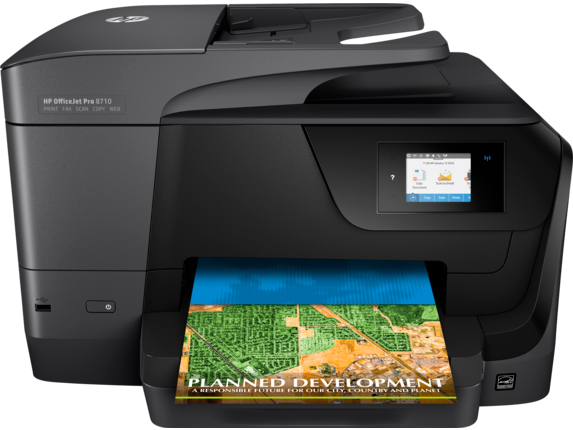 The 8710 uses InkJet technology, and allows projects to be printed straight from a USB. It’s reasonably priced and won’t break the bank, with a retail price around $188 AUD, making it great for those looking to save some cash, but who still require quick printing output. 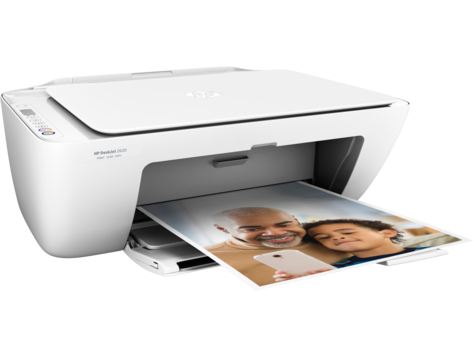 The Brother MFC-J5730DW is compatible with both Apple AirPrint and Google Cloud Print, and can handle documents up to A3 in size. It also provides automatic duplex printing, scanning, copying and faxing, has a 500 sheet paper input, and can accommodate 50 sheets in the Automatic Document Feeder (ADF). 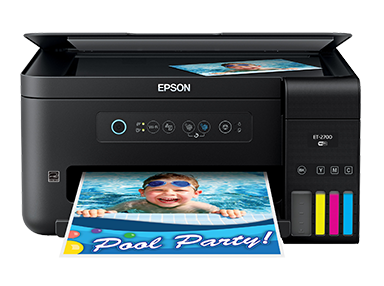 It can print 20 colour ppm and 22 black ppm, and comes with a 12-month warranty for added peace of mind. The A3 capabilities make it a great option for the workplace, and costs approximately $290 AUD. If you’re after an incredibly affordable, entry-level printer for AirPrint printing, then the DeskJet 2620 could be worth considering. With a price tag around $47 AUD, this printer is a great option for people wishing to spend their hard earned cash elsewhere, while still getting the convenience of AirPrint compatibility. It can print, copy and scan, and can create colour prints up to 4800 x 1200 DPI (and black prints up to 1200 x 1200 rendered DPI). It uses thermal InkJet technology, has wireless capability, and a print speed of up to 7.5 ppm for black and 5.5 ppm for colour. The most expensive printer on this list, the ET-2700 uses an ink tank system rather than cartridges. This means that instead of replacing cartridges, the tank can be refilled with ink bottles. One benefit of this is the money saved, as ink bottles tend to cost less per page than cartridges. The ET-2700 comes with enough ink to print as many as 5,200 colour pages and 6,500 black pages right out the box, and provides print resolution of 5760 x 1440. It can print up to 5 ppm in colour, and 10.5 ppm with black ink, making it one of the slower printers on this list, but one plus is that it can print photos. 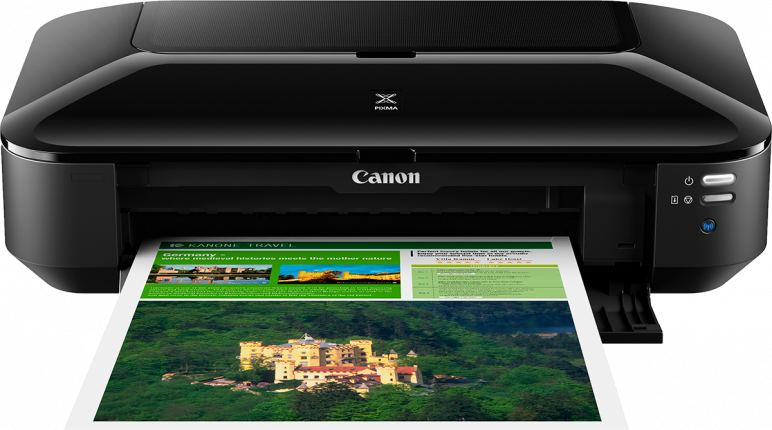 The Canon iX6860 can print many different projects, from photos all the way up to large posters. With a maximum colour DPI of 9600 x 2400, the iX6860 allows for the creation of clear, detailed prints. The printer is equipped with Google Cloud Print and Apple AirPrint compatibility, and also allows users to print using the Canon PIXMA Printing Solutions App. It can print A4 colour pages at speeds of approximately 10.4 ppm, monochrome pages at a speed of approximately 14.5 ppm, and borderless 6”x4” items in around 36 seconds. The iX6860 supports many paper types, including t-shirt transfers (TR-301), glossy photo stickers (PS-101) and envelopes (DL, Com10). It is reasonably priced, costing around $159 AUD, and is a compact size for an A3 printer (although this comes at the expense of a paper tray). This entry was tagged Airprint, Apple, Canon, Epson, HP, Ipad, Iphone, printer. Bookmark the permalink.